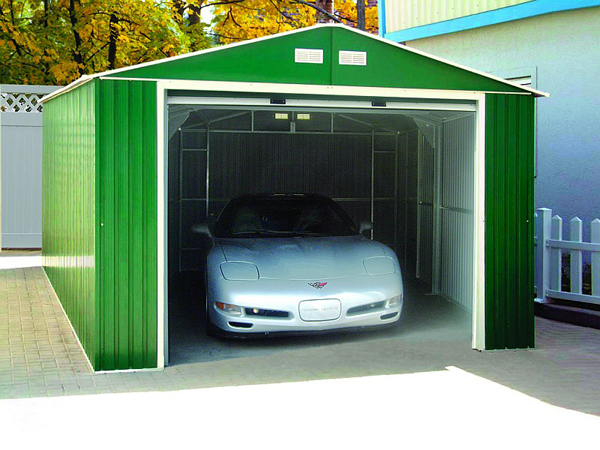 What are the advantages of keeping your auto garaged or sheltered? Well there are certainly no disadvantages from doing so. In this article we take a look at some of the practical advantages of keeping your much needed automobile in a sheltered space for at least 8 hours out of the 24 if no more. 1) The very basic protection your auto will receive from being inside is it to be out of target for bird droppings which contain a certain amount of acid. When sun hits it, this can dull the glaze on paint work and leave long term damage and cause spotted discoloration. 2) By keeping your vehicle inside the engine can cool down more slowly in cold weather and more naturally than if left outside in freezing conditions were it will go from one extreme of temperature to another in a short space of time. 3) There will be a lot less chance of the cooling system or window washing container freezing over and damaging and dealing with busted pipes. 4) When wipers are allowed to freeze onto the windscreen in severe frost they very quickly go brittle and hard. This will cause them to drag on the windscreen and can leave scratches on the glass over time making them a lot less effective. 5) When you garage your vehicle the integrity of engine oil is maintained. It will be less viscous which will be a lot better for lubricating your engine. This will make it much easier to start first thing in the morning and ensure longevity to your engine parts. 6) On cold mornings if your auto is inside the coolant will heat faster and in turn the heater will work faster. The transition from house to car first thing on a cold morning will be less painful. 7) By keeping your car inside you will save yourself the trouble of having to get kettles of warm water to remove ice from the windscreen first thing in the morning thus saving your precious minuets in the morning and unnecessary stress before going to work. 8) If you can park in a garage during the day while you are at work this will also increase the life span of your car and help prolong the life of the paint work and trims. Hot sun can quickly destroy paint work, both fading and dulling the body finish in a short space of time. So like all good hobby auto collectors by keeping your automobile garaged in either an enclosed garage or even an open carport or portable shelter, it will make a big difference to the lifetime of your car. While it may be an outlay purchasing a garage, the flip side is you will save money in the long term; you will reduce stress every morning you step into your car and your vehicle will be more reliable. Erecting a DIY Garage Kit on your property will enhance its value for sure and it will last for years. StorageShedsDirect.com is main dealers for all DIY Garage Kits like:Duramax Garages Kits, Arrow Garage Kits, Rhino Shelters and Shelter Logic. So when it comes to the main US brands on the market you will find them all under one roof. Check out our blog for many other articles and advice on all our outdoor structures and find the right garage for your storage needs. All our buildings ship free and we provide good old fashion customer service. There are plenty of people out there who have more cars than garage space. Having something like what you pictured below would be perfect for anyone really! Anyways, would it be better to have one made out of metal or one made out of wood? Thanks for your comment. I guess it depends on the individuals needs. These make the perfect storage solution for many of our customers and we never have any problems with them. Even though the car I drive isn’t as nice as the corvette in the picture, it would still be nice to have it in a shed for the winter. My garage is quite full of stuff and of course the wife’s care has to go in. This means that mine get’s to be put outside. I’ll see about getting one or building one soon here enough before the snow sets in.